I'm trying to keep the momentum going with my sewing but decided on something much easier this week. I've had fabric for cushion covers for the living room hanging about for a couple of months so it was high time they got sewn. 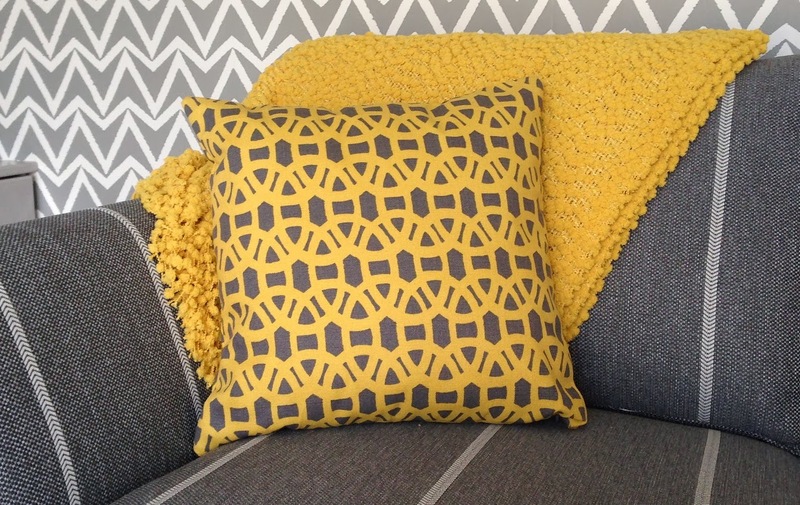 I'd seen some lovely cushions in John Lewis ages ago but they were £40 each! The fabric (called Lace by Scion) for these ones set me back £30 for a metre but the cushion pads were only £2 each from Durham market and the zips 80p each (looking back that seems too cheap somehow) giving a grand total of £38.40 for three cushions. Take that! Pricey department store! 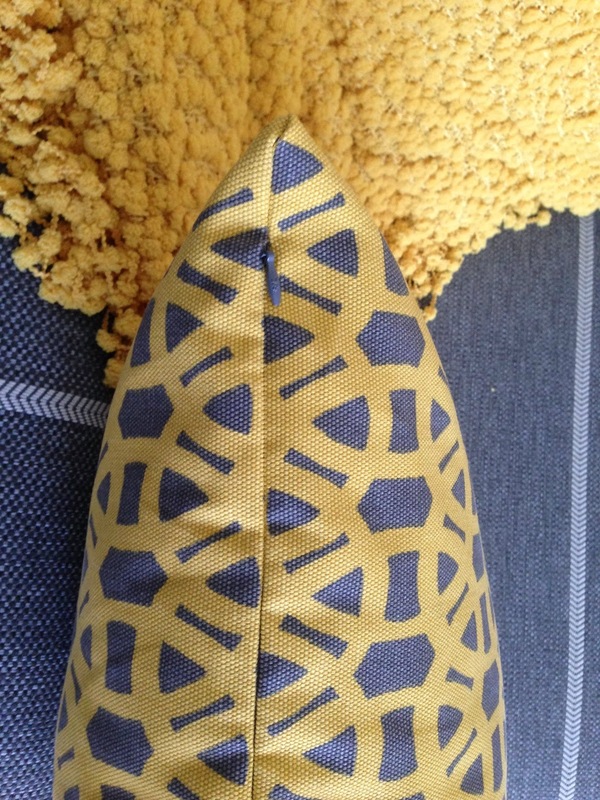 Its the first time I've used invisible zips for cushion covers and I think they are the way forward. I find putting them in much easier than ordinary zips now and I think it looks very professional, even if I do say so myself.